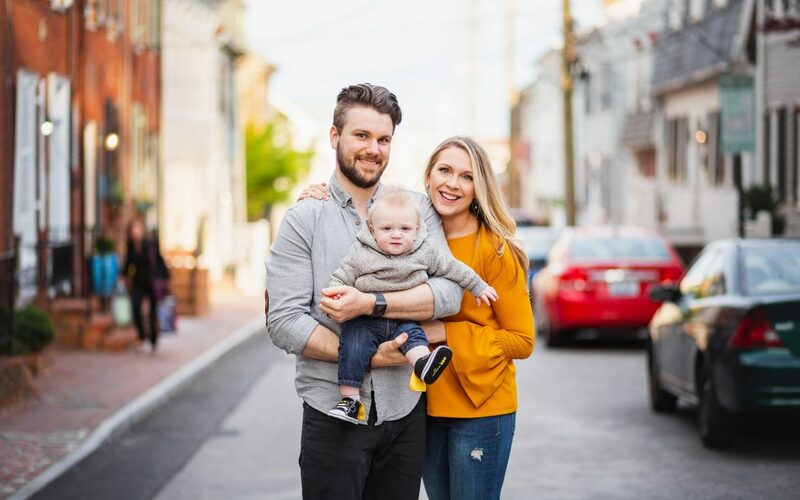 Several months ago, before our Maryland weather went through it’s annual identity crisis, Greg got together with this beautiful family for a long awaited portrait session. After shooting their maternity photos at Kinder Farm Park last year, they decided to go a little upscale-urban, a little nautical for their second session, and decided to hold it on the bustling smalltown-streets of Downtown Annapolis. Although it took a little while (and lots of play time) before the littlest member of the group warmed up to the photos, the late evening light played into the flow of the session perfectly, and they captured some spectacular sentimental and moody images together. The group began their session around the capitol building before gradually working their way down to the waterfront for some photos with the last light of the day; sessions such as these are often have a meandering quality to them. Check out some of our favorite shots from Greg’s session with this family below, and check out the family portrait page here on our website to learn more about how you could be work with Greg on something beautiful also!